During a recent trip to New York City my TV nerd colleague and I attended two show tapings. If you never have done this, I can highly recommend it – the TV lover’s equivalent of looking inside someone’s bathroom cabinet to see what makes them tick. Not that I’ve ever done that last thing – seriously- honestly. Well, maybe. We saw two programs taped a couple of days apart– Full Frontal with Samantha Bee and The Late Show with Stephen Colbert. 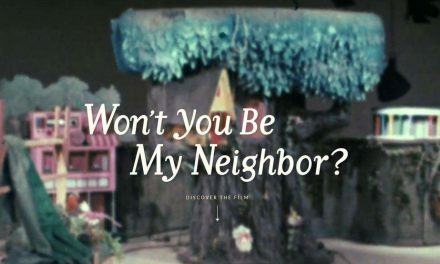 The latter is part of a relatively old American television tradition, filmed in The Ed Sullivan Theatre just up from Times Square in a theatre originally built by Arthur Hammerstein and named the Hammerstein’s Theatre after his famous theatrical father, Oscar. However it has been taken over the by the theatre of late night television for decades – renamed the “Ed Sullivan” after the famous TV presenter (and yes, this is where he introduced The Beatles to America, among many others). It has since been the home to The Late Show with David Letterman, and most recently Colbert. Seeing the show tape there is much more like seeing a theatre production – no cameras allowed, a warm up round and a house band that play throughout. Incidentally, if you ever wondered why these types of shows have a house band – that’s why. It’s not to cover the total of 6 minutes or so they might appear on screen, but to cover the better part of a full set they play for the live audience in the theatre as cameras change positions and actors and presenters are retouched and set. They were amazingly versatile and worth the wait to get in on their own – hidden gems of the taping experience. In contrast, The Samantha Bee Show is filmed in a purpose built TV studio – complete with what seems like hundreds of lights on the roof, dolly cameras and the notes of TV shows that have made it in the studio before and after. We were lined up in a waiting room covered with production posters then ushered into the studio to be arranged in an apparently ordered way – it seemed that the producers were looking for a mix of genders and ethnicities to be flashed to on camera if required. The warm up here was markedly different – delivered by a sometime cast member of the show who was wonderfully energetic and much edgier than her Late Night counterpart. Also, she shamelessly gave away swag and explained the TV process more openly – we weren’t here to be part of the legacy of an established tradition, but to help build a new one. Seeing both shows taped live gives a really interesting insight into the American television system. Firstly, given that it seems everything else is highly commercialised, it’s surprising that tickets to both (and all TV tapings, as far as I can see) were free. You do have to invest time in getting tickets, however, as well as lining up to see if your tickets are actually yours once you get there on the day. That is – all shows over book to allow for no-shows, so you do need to get there early. Given that Samantha Bee’s show is relatively new the hoops to get in a pretty achievable. Basically, turn up when they tell you, have your ID ready, and clap when you’re told. The end. Colbert’s process involved a couple appointments to line up after getting tickets online in advance – a process that allows for walk-ups on the day as part of the cult of ‘stand by’ tickets. On our day there about 20 stand up people turned up and got in – although I’ve seen up to 100 turn up for something like The Tonight Show with Jimmy Fallon. No where near that many get in – on the day I waited for Fallon only the first 5 stand bys made it in. Seeing live television tapings in the US gave TV nerds like us a cheap thrill, if nothing else. But beyond this – for anyone interested in analysing or making television – I can think of no better training. See what is highly staged (the guests and their banter) and what isn’t (opening monologues about mass shootings) has made me reconsider how I watch from now on. 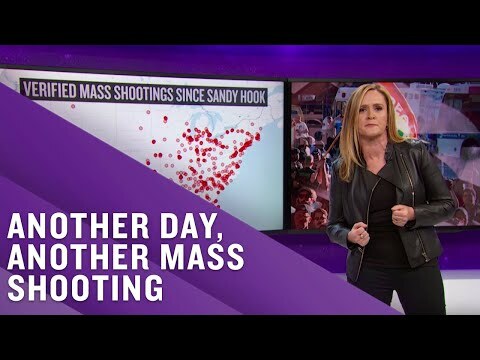 Below is Samantha Bee’s masterful take on Orlando – which must have been written swiftly but was delivered in one take, flawlessly.